long_descriptionA fresh take on everyone's favorite food, straight from the Michelangelo of dough (Vogue). Yeast, flour, and water--from such humble ingredients rises a food that is for many an object of devotion. Here is a cookbook that reveals the secrets of the crust straight from the source in Italy. Gabriele Bonci, known throughout his country as the King of Pizza, operates a small pizzeria in Rome, where for the past ten years he has developed his signature style: making use of stone-milled farro flours, relying on the seasons to determine his unconventional topping combinations (he comes up with more than 1,500 each year), and inventing new techniques for sandwich pizza and fried pizza. 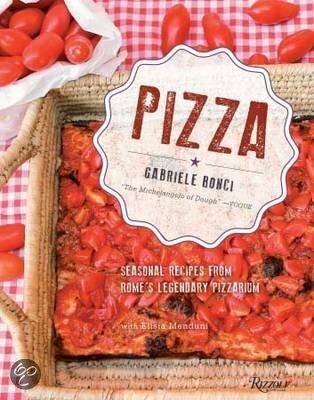 The more than eighty recipes here (adapted for the American kitchen) will have pizza geeks' heads spinning: pizza with grilled peaches and chicory; potatoes, eggplant, and rosemary ash ; asparagus, egg, and lemon; endive, olives, and anchovies. This is Roman-style pizza al taglio--rectangular with an airy, foccacia-like dough that can support an ample topping. Bonci details his process for making dough, including his own sourdough starter. Whether for the expert or novice baker, this book revolutionizes the concept of pizza and introduces flavor combinations that can apply throughout the kitchen.